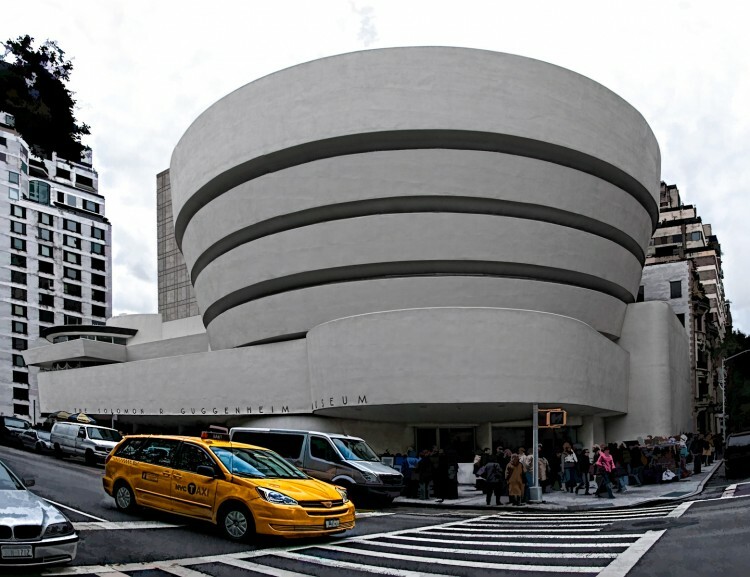 This is a shot of the Guggenheim Museum in New York City that I took a couple of years ago. It’s actually a panorama created from three shots (the original pano is shown below). I’ve actually been working on variations of this image since I took it. I’ve played around with a variety of ideas. I recently purchased theTopaz Labs Detail plugin and I experimented with it on this image. I boosted the detail of most of the image and then masked out the building. It gave the colored elements of the shot an interesting look, especially the taxi. However, at a smaller size the image looked to ‘crunchy’. So I then applyed Topaz Simplify and again masked out the building to create the final image. I still like the funky look of the yellow cab and I’ve always liked the way Simplify works on people as a way of de-emphasizing them. As always, would love to hear your thoughts or questions. Now that’s how you put the tools to work for you! Fantastic work James! It’s nice to see what this building actually looks like, as so many photos of it are just small areas of the top area. I like how you brought out the texture on the surface of the walls. Very effective treatment here! The punchy colour really works nicely. Amazing how you’ve stitched this image together. 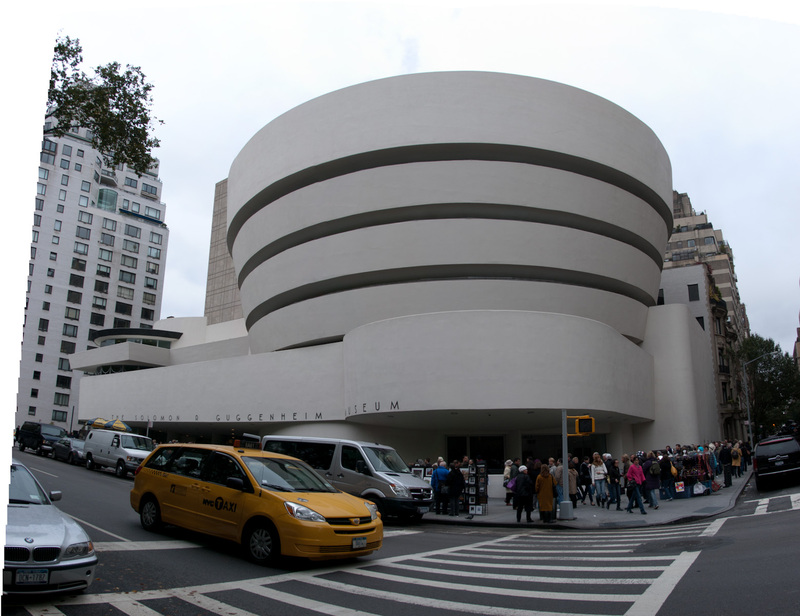 And – I love the Guggenheim. Everything about it. Terrific capture!